It was the autumn of 1979; just about this time of year. A friend and I decided to go on vacation to the White Mountains of New Hampshire. Our goal was to photograph the beautiful reds, yellows, browns and golds of the changing New England foliage. We were not disappointed; and to this day I have those photographs tucked away. The way south, home to New Jersey saw us take a detour to visit Cape Cod. It was there, passing through Wellfleet when I spied the sign on the road, diverting my attention to Marconi Station. I was a new Ham at the time, licensed for under a year. I was learning the ropes and was eager to soak in as much about the hobby and it's glorious past as I was able. The old ruins of the radio station beckoned; and I headed in the direction that the road signs indicated. I was not disappointed, even though there is not much there anymore. This was the site of the first wireless communications that spanned the Atlantic. President Teddy Roosevelt used Mr. Marconi's station to send greetings to King Edward VII in Great Britain. All that was left of the giant curtain antenna were the concrete anchors that supported the giant masts in the dunes of sand. A gazebo with a diorama of the orignal radio shack and antenna displayed what was built there so many years ago. Standing there on that chilly October day; I looked out upon the vastness that is the Atlantic Ocean. As the sea gulls cried, and the breeze howled I was able to feel the electricity in the air. Radio waves emanating forth; traveling up to the ionosphere; only to be bent - refracted back to the surface of the earth so many, many miles away. In an instant, the size of the world was conquered. Vast distances were made relatively small; but being there reminded me how really vast those distances truly are. And like Mr. Marconi, I too, travel them with ease. My meager few watts travel over the oceans and continents at the speed of light, making the world smaller; but at the same time reminding me of it's vast beauty and grandeur. As if my 40 Meter Rockmite isn't fun enough! Dave Benson strikes again and receives a few more dollars from me. 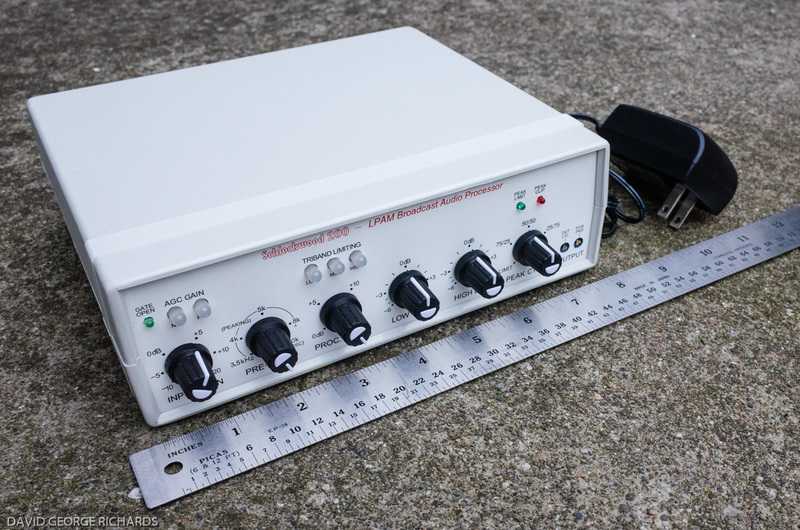 I am now the pround owner of a companion 20 Meter Rockmite to accompany the 40 Meter version. I have put my other construction projects on the side and am constructing this 'lil beauty. It's just as easy as it's 40 Meter brother; and in fact they're pretty much identical twins. It's just about done with only the resistors and transistors to solder in to the PC board. I should have it done and ready to be enclosed some time this coming week. There are plenty of rigs to choose from should you decide you would like something more "well rounded" than a Rockmite. Whatever you might choose from Dave's inventory, I can pretty much guarantee that you won't be disappointed! For me, 40 Meters has been strange. It has been noisey, so noisey in fact, that it has almost been unusable. Same thing with 20 Meters. 80 Meters, however, has been a pleasant surprise. It has yielded a few decent ragchews over the past few evenings. I am guessing that it's just atmospheric conditions and that things will clear up in time. 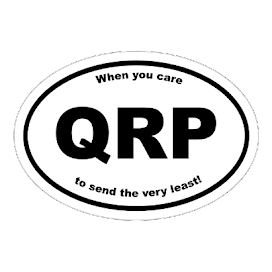 I know the topic of this blog is Amateur Radio and QRP in particular; but I have to get this off my chest. I have been watching the Main Stream Media for over two weeks now since Hurricane Katrina hit New Orleans with utter disgust! The way they are politicizing this natural disaster just steams me off! I have been involved in Emergency Management for just about twenty years now. Admittedly, I'm a low level player without any real authority or expertise. I do however, "know the drill". I've been given enough training and have taken enough courses, through local government and on my own, to know how the system works. When an emergency or natural disaster or terrorist incident of any kind occurs, the response is totally in the hands of local officials. It is up to the first responders (police, fire, EMS, public works) to handle the emergency the best they can. Once they use up their resources and realize that they are in over their heads, it becomes a county problem. The reponsibility of the county is to help the town in anyway they can - provide assistance, supplies or mutual aid if necessary. Once the resources of the county become overwhelmed, it is the responsibility of the state to take charge and do all it can. In the same vein, once the state is overwhelmed, the respective governor calls the President of the United States (POTUS) and asks him to declare an emergency which starts the wheels turning for Federal aid. Louisiana, Mississippi and Alabama were hit by a hurricane of Biblical proportions - there is no doubt about that. But the repsonsibility of "first response" laid upon the shoulders of the mayors of the affected municipalities and the governors of these states. It was up to them to follow their emergency plans or SOPS (Standard Operating ProcedureS). It is quite evident from the events that occured that the SOPS were not followed or were woefully inadequate. I have seen the SOP for my county; and was involved with helping to carry it out for years. The SOP is so thorough that it even details how to open the Office of Emergency Management, whom to call and what procedures to initiate if your the first officer to reach the building once a call gets issued! To this observer, it seems the response by New Orleans officials was willy-nilly at best - chaotic at worst. Their evacuation plans were not carried out; and it seems like their evacuations plans were poorly thought out from the get go. The response by local officials was not fluid and it appeared like they were not ready, untrained and were ill equipped to respond. It seems in Louisiana that everyone went off half cocked in their own little direction and that no one talked with each other. The governor appears to have been overwhelmed by the situation and was paralyzed with indecision. So what does everyone do? Do they look at themsleves and figure out what went wrong and where? NOOOOOOOOOO !!!!!!!! Blame the POTUS and whine and cry that Federal aid was inadequate and was slow in coming, to boot! Why look at yourself when it is so much easier to just pass the buck? If the mayor of New Orleans and the Governor of Louisiana had their acts together, that city would have been totally evacuated before Katrina struck. Heck, they had five days warning! The head of the Hurricane Center personally called the Governor and begged he to evacuate! They had plenty of buses to get the job done, too. Too bad they ended up sitting in 5 feet of water! I don't care what the Democrats say, what the Media says, what anybody says ..... given the scope of this disaster; and the amount that was dumped in their laps, FEMA, the military and the Fedreal government acted swiftly, decisively and competently. Since Katrina unleashed her wrath upon the Gulf states; there has been a lot of discussion on various Amateur Radio e-mail reflectors about the value of Ham Radio and emergency communications. This post is not intended to stir up any controversy or debate; it's purpose is, however, to get you to think. We are ALL vulnerable to natural disaster, whether it be a hurricane on the south or east coasts. Blizzards in the temperature appropriate areas of our country, earthquakes and brush fires out west; flooding in the Midwest; or a tornado just about anywhere. When these things happen and devastation is widespread; your help is needed! We are seeing that this week more than ever. Please consider volunteering your time and talents. There are many ways you can do this. Hook up with your local Office of Emergency Management and see if there is a CERT program (Community Emergency Response Team) in your area. If there is none; then maybe there's a ARES or RACES group in existence. 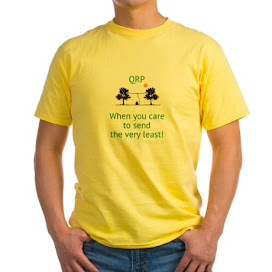 Where these do not exist contact your local branch of the Red Cross or Salvation Army as both of these organizations have "letters of understanding" with many local Ham radio Emcomm groups. The point is that Ham Radio is as valid and valuable as it has ever been. Maybe it's not done by Morse Code or maybe not even HF SSB anymore. Maybe it will all be done in your area with VHF/UHF FM communications or packet. 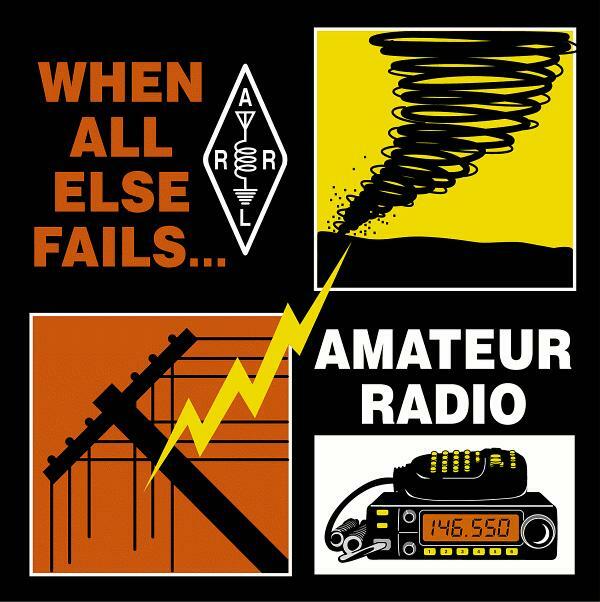 Maybe Amateur Radio doesn't get the press that it deserves and maybe it's not as valued as it ought to be. But when all is said and done with Katrina, the stories WILL come out. You will hear instances of where communications systems failed and how Amateur Radio was the only way that rescues were performed, services delivered, families reunited. 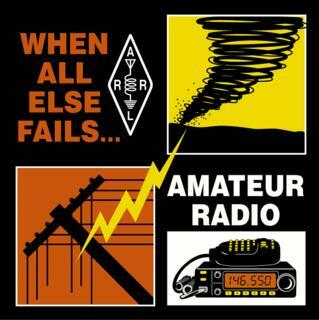 The ARRL had a slogan on their T-shirts for Field Day a few years ago, "Amateur Radio - When All Else Fails". That has never been more true. But all that said, YOUR help is needed. Volunteer communicators are needed on a nationwide basis, starting with your own local communities. Get trained and be prepared. The best side benefit is that the knowledge you gain will not only help keep your community safe; but your own family safe as well. 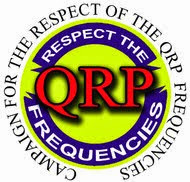 You folks who are into QRP and Homebrewing are among the most knowledgeable, brightest, most versatile, most adaptable, best trained Hams we have out there. You build, test and repair equipment. You set up and operate stations from fields, forests, oceansides, backyards, parking lots and even from inside EOCs. You are an asset to this country and its communities.